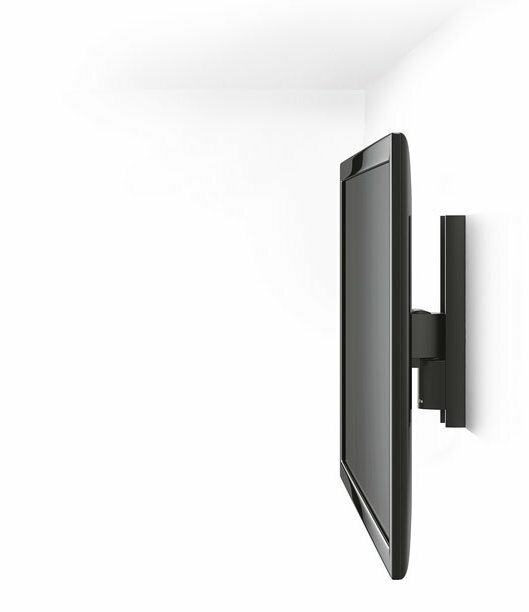 Add more entertainment to your life with the WALL 1120 LED/LCD/Plasma wall mount for your flat screen TV. 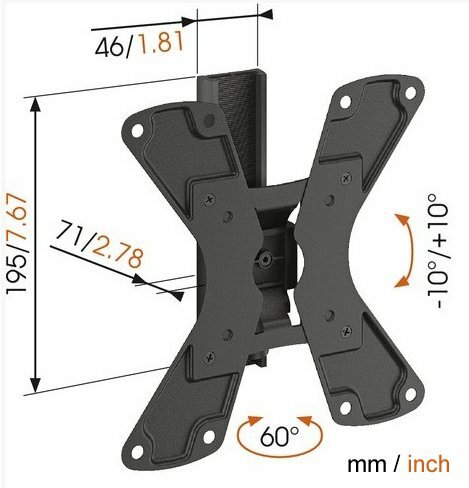 This wall mount turns your TV up to 60 degrees (30 degrees left and 30 degrees right) and tilts your screen 10 degrees forwards and backwards to give you the perfect view from any spot in the room. 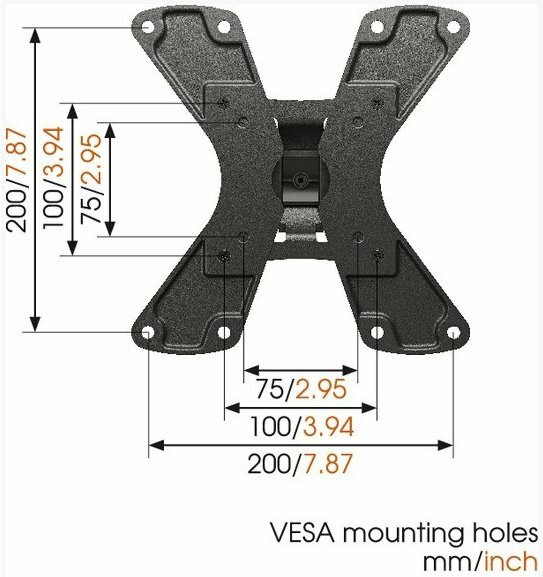 Great ida for mounting a flat screen TV in your bedroom, kitchen, workspace and children’s room. This mount is part of the Vogel's TURN products. Mount a LED/LCD/Plasma TV on any spot in your bedroom and adjust it for a great view. Mount a TV on the wall in your children’s bedroom out of reach but easy to watch for an afternoon show. Keep yourself entertained in the kitchen, wherever you are working. Or put your flat screen TV on this flexible LED/LCD/Plasma wall mount in a workspace. You can turn the screen to the right and left and tilt it forward and backward so you always have a great view. It comes in black and silver and is suitable for screen sizes of 19 to 37 inch (48 to 94 cm). It supports up to 15 kg (33 lbs). 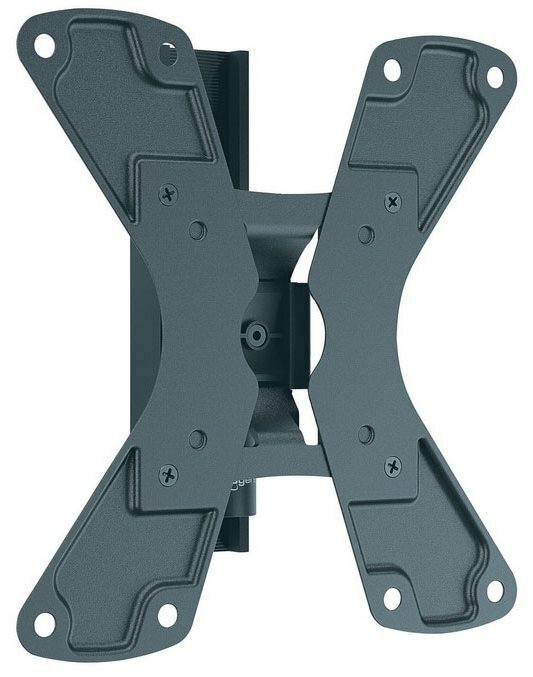 TV Size 19" to 37"
Sanus Full Motion F107d Pull Out Wall Bracket for 13" to 32" TVs"